In the early 2000s, I was privileged to attend a wine tasting press conference, organised by Indian wine industry stalwart, Sanjay Menon, alongside an expert French sommelier, who showcased none other than a selection of the supreme Chateau Latour wine label. If my memory serves me right, the conference was held at the Gateway Room of the Taj Mahal Mumbai, with classroom style seating and tasting sheets laid out. The mood was set, he was the cultured, sophisticated Occidental, even better, French sommelier, who was addressing a bunch of ‘whiskey drinking’ and ‘beer guzzling’ natives in the form of Indian journalists, who back in the day had to be ‘educated’ and ‘taught’ the fine art of wine tasting…. First, hold the glass or goblet at the stem and not cupped in your palms which distorts the character of the wine, due to change in temperature; look for Clarity, Age and Colour. Sniff, look for alien aromas to the Indian ‘nose’ such as cut grass or even better, exotic berries and marmalades; identify the hint of Grannysmith’s apple? “Non? Oh la la!” the sommelier does the quintessential French shrug in sheer disappointment…. Next, taste, sip gracefully while sucking in air to oxygenate the wine and add to its complexity. Is the finish smooth? leathery? puckering? Do you feel the burst of sensations? He questions in anticipation…. Now spit! Clear your palate with water and some crackers and move on to the next varietal. Blasphemy as far as Indian culture goes…spit out and that too at the Taj and in good company! Most people are thinking…let’s ask him to identify the aromas of individual spices in masala chai huh? And why on earth is it eloquent to spit out grape juice in public? Usually, the odd one out at a party or dinner, I opted for wine over the more popular choices of whiskey, vodka or the then ladies’ drink, gin! I found myself confronted with a vast choice between Riviera or Chatilli by Chateau Indage, Madera or Saturi Merlot by Sula, Grover’s La Reserve or the traditional blend…and sparkling wine blatantly sold as Champagne, more out of ignorance than mal intent of course – Marquise de Pompadour by Chateau Indage being the only bubbly available to the Indian wine consumer at the time. Friendly stewards at fancy restaurants including certain five-star hotels were only too hospitable and willing to add a few cubes of ice to your glass should you find that its not cool enough…anything to appeal to the consumer’s palate. We did invent Indian Chinese cuisine in that endeavour now didn’t we! Needless to say appropriate wine glasses and accessories were not the order of the day or even a matter of consideration. If you liked an occasional glass of wine at home you headed to PK or Shah Wines who pompously and mercilessly displayed their grand collection of Indian and imported wines standing tall and mighty, withering in the hot, humid and harsh weather conditions of Mumbai before making their way down many a gullet. The result? Wine was surrounded by too much song and dance and tasted insufferable too…much ado about nothing? I’d like to at this very point clarify that I’m no wine expert or sommelier! Just an unabashed lover of wine who has been a part of the great Indian wine consumer’s journey from being largely untapped and unexplored to an ever-evolving and sometimes discerning palate! In 2011, about 10 years down the line, we have a line-up of French, Italian, Spanish, South African, New Zealand, Chilean, Argentinean, Australian and ‘what have you’ wine exporters and producers hosting lunches, dinners and tastings. They are strategising alliances and cross promotions with Indian wine clubs and importers alike to lure the world’s largest wine consuming nation in the making. The ones that changed the face of wine consumption in India, in my opinion, are the Australians. Pioneers in wine marketing, they introduced us to the New World wine culture, a whole new awakening for the sense and sensibilities of the nouveau Indian wine consumer. Wine bottle labels evolved from being sheer marketing tools to a mode of instruction as they unravelled and unearthed many a secret about the mysterious and intimidating bottle of wine. Apprehensions shed, people were in command as the new world wines spoke to them in a language they finally understood! Suddenly, you were equipped to entertain a guest or go out to a wine dinner without feeling unsophisticated when being offered a Bordeaux or a Chianti. Instead, you opted for straight single varietals – a Chardonnay or a Merlot or said you simply preferred new world wines, where the label was your passport to being one in the crowd. To such an extent has the wine label influenced wine drinking that even the old world has been compelled to adopt the forthcoming style of its new world counterparts and make its wines more approachable to a nascent but promising audience. So while most times it may be true about not judging a book by its cover, in the case of wine it could well be the reverse. It gives you details of the varietal even when it’s a blend, suggests the ideal temperature to serve at, gives food pairing recommendations and sometimes suggests which glass would bring out the best bouquet in the wine! And Voila! Indians had a newfound love for wine and the Indian wineries adopted the new world wine-making style with panache to suit its consumers’ palates. What started with three wine making companies has now emerged into a burgeoning industry with over 60-odd wineries and counting! Bangalore became home to the famed Grover Vineyards and also has a new world-class winery sprouting on its outskirts. Himachal Pradesh has been handpicked for wine production by the Chateau Indage group. However, it is in Maharashtra that the wine scene has taken a whole new proportion. The state’s prime grape producing region Nashik, has become India’s answer to California’s Napa Valley! The wine land that had only two wine tasting facilities namely Chateau Indage and Sula Vineyards at the beginning, is now developing into a wine trail being proposed as an off-site corporate incentive or as an indulgent tasting holiday for both locals and international visitors alike! Wine aficionados much like anywhere else in the world can be accommodated in vineyard B&Bs or near-by hotels; they can not only taste wines at the wine estate and tour the wine making facility but also buy estate wines at very attractive prices. Even in-city buying patterns have witnessed a sea change. Traditional wine shops have either given way or transformed their avatars to match outlets such as Living Liquidz and Nature’s Basket that have taken on the mantle of not only displaying wines attractively, but also in a coherent manner (country-wise, vintage-wise, varietal-wise, wine-style wise) and most importantly, in appropriate temperature-controlled conditions. When lucky, as I have been a few times, you may even have trained personnel who have at least a basic level of wine knowledge to help you zoom into the wine that suits your budget, palate, cuisine and purpose! The retail outlets are not the only ones investing their energies into wine etiquette training. Restaurants, at least the ones positioned as high-end, are not leaving any stoned unturned to ensure their personnel are not only up-selling but also serving in the right fashion – the chivalrous ladies first pour for the nod of approval, using the right goblets, flutes to suit the wine and of course, suggesting wines that would pair well with the food. So much interest has wine fevered in the last decade that it has led to the creation of many a wine club much like the cigar clubs and golf clubs… basically a way to bring together connoisseurs and enthusiasts on a common platform. 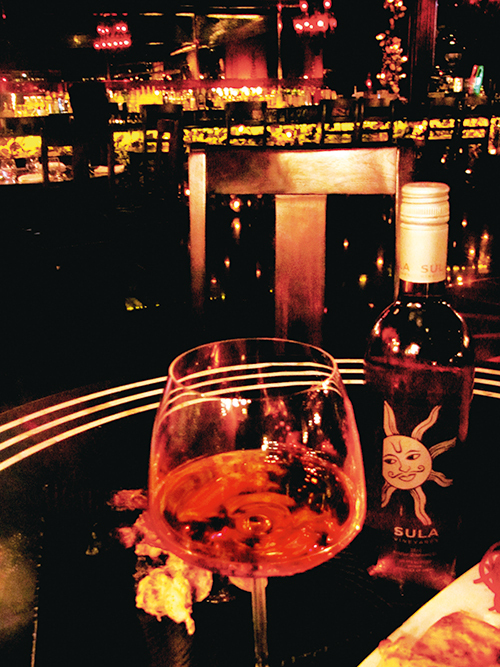 Almost every big city in India has its own wine club, Bangalore was the trend-setter and Delhi, Mumbai, Chennai, Pune, Hyderabad et al were not willing to be left behind. The Wine Society of India has chapters in various cities. Members get invited to tasting sessions and have their wines brought down, in hopefully the right conditions and through the right channels, to their doorstep! In addition, for the amateurs with a keen interest to take their wine wisdom to the next level, wine experts and sommeliers from across the globe including esteemed institutions such as WSET (Wine and Spirit Education Trust), Cordon Bleu, CAFA Bordeaux, are brought down to conduct detailed sessions on the art of wine appreciation. Only 10 years ago, the mammoth task of acclimatising the Indian populace with the notion of wine tasting was in the hands of Delhi-based company Tulleho run by Vikram Achanta that conducted tasting workshops animated by noted bartender, master trainer Shatbi Basu, who together strived hard to rid Gen Next of their inhibitions of wine drinking. The other personality that plays an instrumental role in encouraging wine amateurs to shed their self-consciousness and ‘cut the crap’ in his unique blatant and passion laden style is India’s first wine sommelier Magandeep Singh. Wine has been so much en vogue that even Indian men who once considered it too effeminate to be spotted with a glass of wine have taken to wine and with a passion! While statistics reveal that the larger part of wine is still being consumed by women, proof lies in the making of Wine Women and Wit – an exclusive wine club for women! 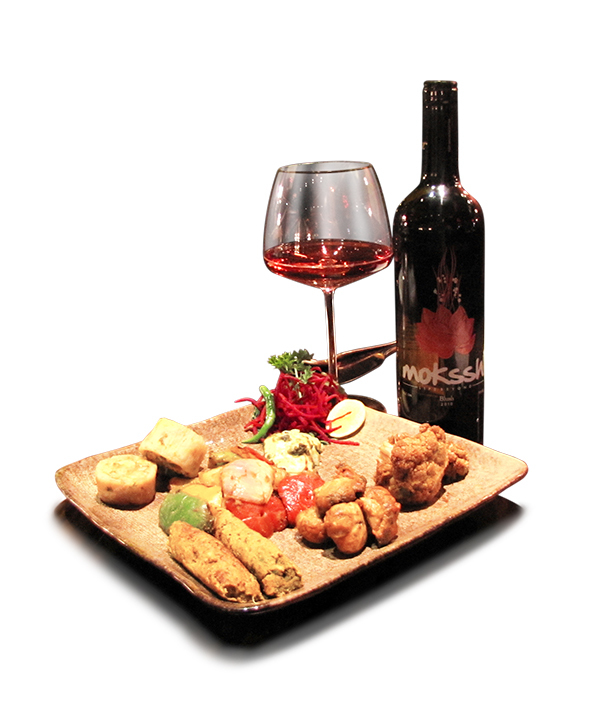 Wine has become an inherent part of the urban Indian lifestyle. 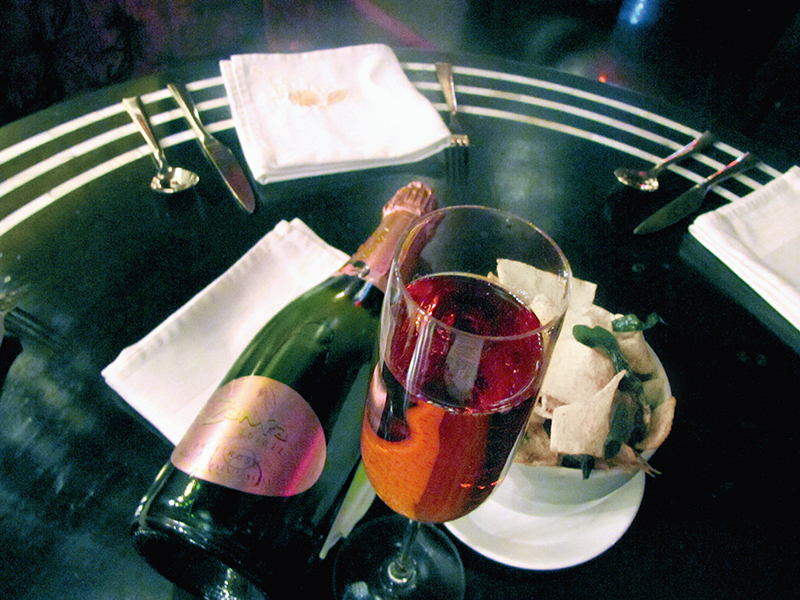 A large gap has been bridged from times when cocktail parties and wedding sangeets almost never stocked wine at the bar to a point where invitations to wine and champagne only soirées and brunches seem to be commonplace events! The Indian wine lovers’ calendar has evolved from one page 3 grape crushing event, the annual unveiling of the Beaujolais Nouveau and the odd wine evening hosted by trade commissions, tourism boards or airlines and hotels to one that is dotted with interesting wine and champagne events as well as food and wine matching sessions orchestrated by celebrated chefs and sommeliers. Wine festivals have producers inviting consumers to savour wines being poured from around the country. We even have international producers making wines customised to match Indian cuisine like the VINDIA label by Hungarian wine producers or the Italian rosé Bava Rosato that is tailor-made for the purpose. Of course not everyone in India has taken to drinking wine, far from it, we still suffer from a largely Colonial hangover and most men worth their stiff upper lip still savour delectable scotches. So has wine finally come of age in India? Yes it has. The transition is stupefying especially in the short time frame of 15-odd years! Indian terroir has not been historically known for its wine-producing abilities but with the help of international wine makers and oenologists, mainly French, lending their inherent expertise combined by sharp Indian business sense and a very large potential, India has made its place under the sun on the global wine map. Wine has, in fact, become a fashion statement, an art form, a lifestyle for the über chic!